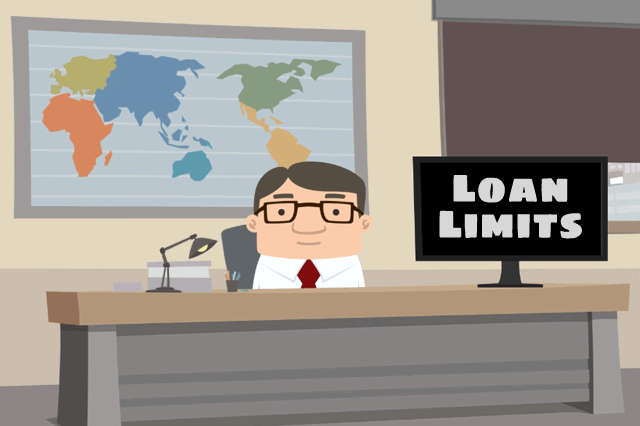 What Is a Conforming Loan Limit? No matter if the loan you’re interested in is an FHA One-Time Close construction loan, an FHA purchase loan for existing construction, or even a USDA home loan, you will encounter the phrase conforming loan in your home buying journey. December 4, 2018 - If you are looking for a new home to buy with an FHA mortgage, it’s likely you’ll run into industry jargon that sounds confusing at first. First-time home buyers aren’t the only ones who can apply for FHA mortgages, but they often turn to FHA loans because of the FHA home loan program’s reputation for being helpful for those who want to purchase a home but have a budget, past credit issues, etc. No matter if the loan you’re interested in is an FHA One-Time Close construction loan, an FHA purchase loan for existing construction, or even a USDA or other type of home loan, you will encounter the phrase “conforming loan” in your home buying journey. A conforming loan is a mortgage that adheres to guidelines set forth by Fannie Mae and Freddie Mac including a maximum dollar amount the loan can be and still be within the Fannie and Freddie limits. These limits are set by county and are subject to revision each year. Conforming loan limits are the Fannie and Freddie limits discussed above, and these limits are not the same all over the United States; there are low-cost areas and high-cost areas which have their own limits established by Fannie and Freddie. A conforming loan is easier to qualify for because of lower FICO score requirements and other factors; non-conforming loans, also known as Jumbo Loans are harder to financially qualify to get as they require higher down payments and higher FICO scores. Non-conforming loans carry a higher risk to the lender. The conforming loan issues we’ve been discussing apply to conventional loans, but similar considerations apply for FHA mortgages. FHA home loans have limits that are set by county just like the the Fannie and Freddie conforming loan limits. An FHA conforming loan would be at or under the FHA loan limit for that area. Furthermore, FHA home loan limits are influenced by the limits set by Fannie Mae and Freddie Mac. In late 2018, the Federal Housing Finance Agency (FHFA) announced that Fannie and Freddie loan limits would increase in 2019 similar to the increases announced in the previous year. FHA mortgage loan limits are not set by Fannie and Freddie, but are influenced by them. In 2017 FHFA announced higher loan limits and it would not be long before the FHA announced similar increases for 2018. Borrowers should know that FHA mortgage loan limits for conforming loans do not change every year, but the potential for such change is always there.